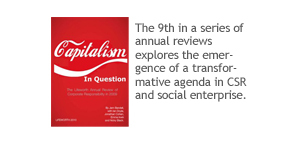 “The Eastern Turn in Responsible Enterprise: A Yearly Review of Corporate Responsibility from Lifeworth Consulting” will be published on May 25, 2009 by Jem Bendell, Niaz Alam, Sandy Lin, Chew Ng, Lala Rimando, Claire Veuthey, and Barbara Wettstein. 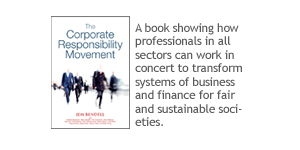 Each year for the last seven, Lifeworth Consulting has published free reviews of global trends in corporate responsibility. This year’s Review examines the growing importance of the issues, ideas and initiatives from Asia that relate to corporate responsibility. 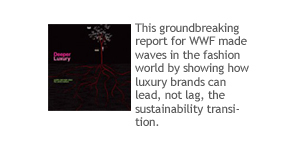 The review describes how, until now, most research, practice, and education on matters of corporate responsibility has been dominated by “the West”. 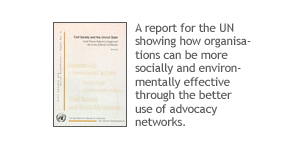 Transnational Corporations (TNCs), Nongovernmental Organisations, (NGOs), consulting firms and academic institutions from Europe and North America have led the agenda, amidst strong domestic drivers for voluntary corporate responses to societal issues, including consumer awareness, independent media, active civil society and an ambivalence towards government intervention. This publication shows how that is changing. The “Eastern Turn” is described in terms of the location of responsible enterprise challenges and the origin of responsible enterprise ideas and initiatives, that arise due to the growing power of the Middle East and Asia. A variety of examples are given from events during 2008, as well as a discussion of emerging challenges and priorities for practitioners in this field. 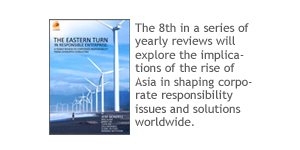 Purchase The Eastern Turn in Responsible Enterprise as an ebook or hardcopy. Browse for free the text of this review (diagrams, tables, footnotes and references only available in the download and hardcopy).